Raw Black, previously a tour-only finish, utilises a QPQ process to create a thin protection layer for feel and durability. 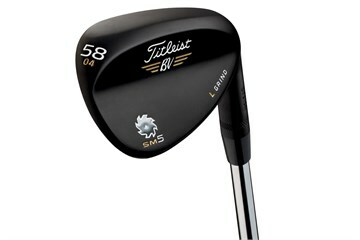 Titleist Vokey Spin Milled 5 wedges deliver more spin and more types of shots, providing golfers with more ways to hit it close and shoot lower scores. New TX3 grooves, with seven percent larger groove volume and two performance configurations, deliver the maximum amount of spin by channeling away grass and sand for improved contact between the ball and groove edge. Spin Milled technology also provides trajectory and distance control through precisely milled grooves and machined face texture. 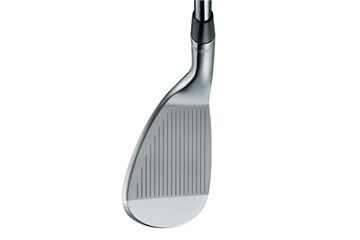 A localised, high frequencyheat treatment to the face provides increased groove durability for longer spin retention over the life of the wedge. Wedge is in perfect working order - described very well with the rating system. Fast shipping and reliable, will be using your service again. 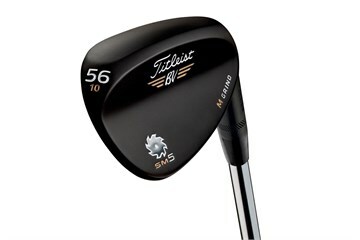 Purchase the sm5 56 black raw wedge it looked good on the pictures but even better when it was delivered. Never used titleist wedge before but can say after buying this I will be getting the 52 also the feel and spin is unbelievable. The club was rated as 7 fair head condition when it arrived the grooves looked brand new like it had never hit a ball ,would highly recommend trying them. Got this gap wedge and absolutely love the club. It is in better condition than the rating says. Have great control and all out feels great.